Part of Diss Ukulele Day, a whole day of Ukulele–based activities. 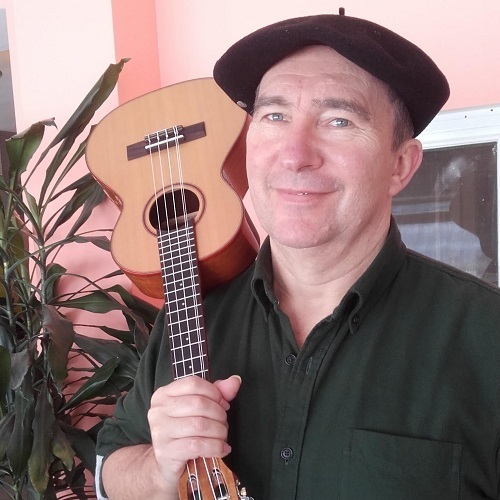 Using the chords you already know, this workshop will explore a range of ukulele fingerpicking techniques to accompany songs, or play solo instrumental pieces. A few basic techniques can help add variety to your playing and make a change from strumming. Pete Arnold from The Hub – Diss Music School will run this workshop. Pete also leads the social ukulele group, Ukaholics Anonymous, in Diss. Open Mic 5pm Showcase your own talents. Sign up on the day. The Delta Beltas play a combination of early American Blues from the Mississippi Delta and more up- tempo country blues numbers with toe-tapping rhythms and vocal harmonies. Their instruments range from guitars, ukulele and keyboards to trombone, washboard and horns – think Waveney Delta meets Mississippi River Roots, meets New O&apos;rleans Street Music! Plus: Blue Luna – the all-female acoustic covers band whose material ranges from the 1950`s to last week!